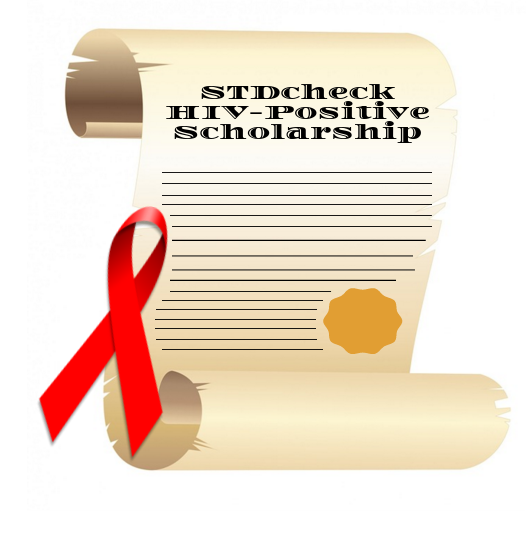 Through our nonprofit division, STDcheck.com offers scholarships to HIV-positive college students. Scholarship awards vary from $250 - $5,000 and will depend on the essay, academic transcript, citizenship, and HIV-status of the student. Please continue reading for more information on the requirements. Applicants must be U.S. citizens who are currently enrolled or planning to enroll full time in a college or university for the following semester in the United States. Applicants must be HIV-positive and be willing to submit to a free-of-charge STDcheck.com HIV test as proof of HIV-positive status (Applicants in states where STDcheck does not have a testing center can submit proof via verification from a physician that applicant has HIV). Applicants must submit their official transcripts from previous academic years with their application (from their high school if an incoming freshman, or from college if an undergraduate or graduate student). Applicants must submit an essay at least 400 words in length with their application that answers the following prompts: how the applicant contracted HIV, how HIV has affected the applicant’s life, and what the applicant wishes those living without HIV knew about living with the virus. The STDcheck.com HIV-Positive Scholarship applications are reviewed every month and are given out on the last Monday of each quarter. The only exception is the last quarter when applicants will be notified prior to the holidays. Therefore, the applications do not have a deadline (for the current or following semester, depending upon individual institution’s financial aid deadlines). What Will You Do With My Essay? All submitted essays and portions of essay submissions may be used by STDcheck.com. All names and identifying information will be kept confidential outside the Scholarship Program. STDcheck may anonymously quote or publish portions of or entire submissions on the STDcheck.com website, social media, or other media or broadcast publications under the condition that anonymity will be kept for all scholarship applicants. By submitting the above scholarship requirements, you acknowledge and agree to these terms and conditions and consent to your essay submission possibly being published in whole or in part anonymously. For questions regarding the STDcheck.com HIV-Positive Scholarship, please call our support line at 1-800-456-2323 and ask to speak with the Scholarship Department. If the form does not load, you can fill it out here. Order our 10-Test Panel or individual tests online or by phone and get tested today. Choose one of our 4,500 test centers. Testing only takes minutes. Your test results are delivered within 1-2 days.